Darkstar is a testament to the fact that some days it is just better to stay in bed, or in this case a cryogenic sleep chamber. Captain John O’Neil certainly did not expect to be awakened from suspended animation having lost all of his memories. The equipment was not designed to support life for three hundred years. O’Neil was on an important mission that absolutely had to be completed. 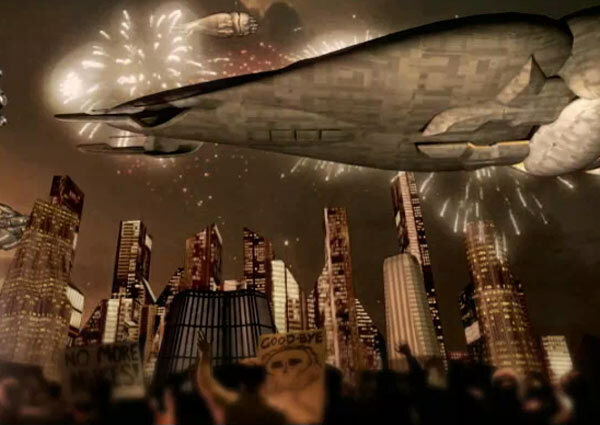 But something went terribly wrong and the Captain’s spaceship was left floating in space. Dark secrets lurk in the far corners of the massive spaceship. As John O’Neil, it will be up to you to unlock the mystery. 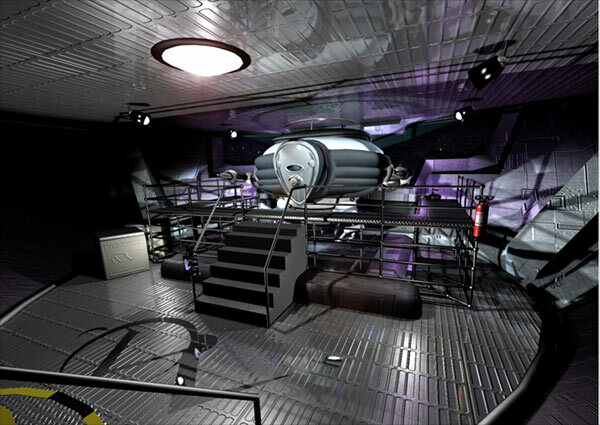 As you fully recover from the suspended animation, you explore the remaining cryogenic sleep chambers. The First Officer Ross Perryman is missing. You find the ship’s navigator lying dead. The only other crew member that seems to be alive is the pilot Paige Palmer. But she lies asleep in one of the chambers. You cannot turn to anyone for an explanation. 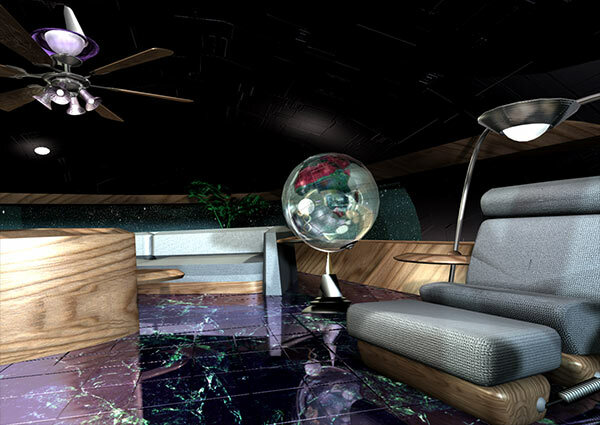 Critical files have been deleted from the spaceship’s computer. The service robot Simon is barely functional due to lack of maintenance. Nobody is around to give you the answer you seek. You will have to discover your identity and your mission on your own. In the endless sea of space, the ship Westwick has kept you alive for three hundred years. It is finally time to uncover the secrets and complete the mission. Along the way you will meet other characters, enjoy beautiful cinematics, and eventually find the truth. With no memories of the past, with your former life irrevocably lost, when you feel completely helpless and alone, your true destiny beckons. Darkstar is a highly promising and ambitious adventure game that is currently being developed by Parallax. 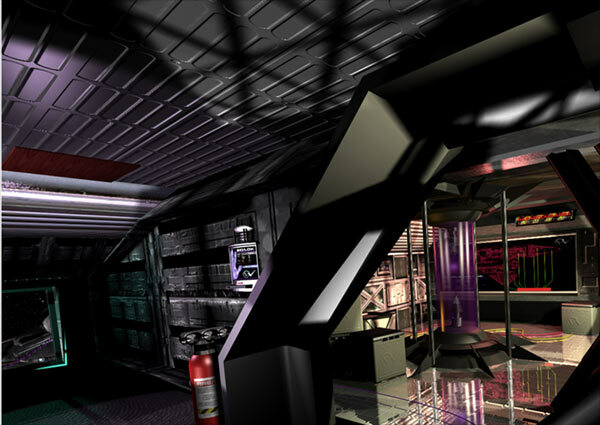 Designed as an FMV adventure, Darkstar will be played from a first-person perspective. In typical first-person adventure game fashion, Darkstar will feature a nodular navigation system. Players will travel from one node to the next and explore a complete panorama at each stop. Players will be able to look in any direction and zoom in to take a closer look at objects. However, instead of presenting the transitioning between each node in a slideshow fashion, Darkstar will feature walking animations. The camera will smoothly move from one stop to the next, allowing players to experience the movement in a realistic manner. In the role of John O’Neil, you will be exploring the spaceship Westwick. As the story progresses, your adventure will take you to a number of different locations including the planet Theta Alpha III. Darkstar has a very strong story focus and promises hours of cinematics. Delivered by an impressive cast of over forty actors, the story sequences will drive the game forward. The game will certainly feature a number of puzzles. 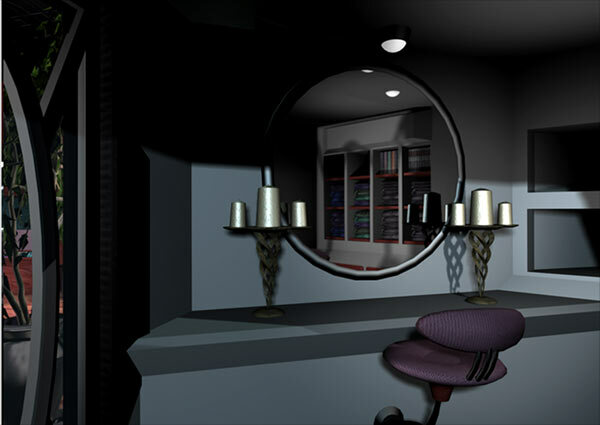 Players will have to look for hotspots and find important objects to solve the game’s challenges. However, project leader J. Allen Williams points out on the official Darkstar Web site that the puzzles have been specifically designed not to be extremely difficult. The developers want to make sure players will be challenged, but still be able to proceed through the game and enjoy the story. Darkstar is currently scheduled to be released towards the end of December 2006. The game certainly offers a very interesting and engaging premise. The strong emphasis on story elements and the hours of cinematics can add up to a greatly entertaining gaming experience. Based on the information available, Darkstar definitely seems to be a game to keep on your radar.